For pros working in the creative fields, a computer’s processing power alone is not enough to get the job done. A prime example is the latest MacBook Pro®, which, while offering great performance, lacks the PCIe expansion slots necessary to support specialty cards that connect pro video and audio inputs, transcode data, and connect to high-speed storage and networks. Instead of slots, these computers include high-performance Thunderbolt™ 3 ports to support peripherals. 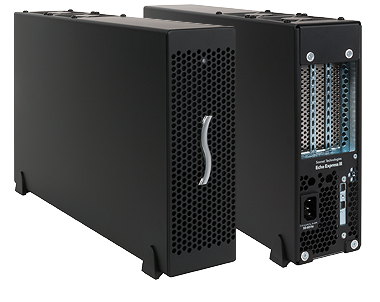 Sonnet’s Echo™ Express III-D (Thunderbolt 3 Edition) leverages the Thunderbolt 3 ports’ PCIe data to connect PCIe expansion slots outside of a computer. This powerful desktop Thunderbolt-to-PCIe card expansion system enables you to connect three professional PCIe cards—including video capture, audio interface, SAS or SATA HBA, 16Gb or 8Gb Fibre Channel, 10 Gigabit Ethernet, and RAID controllers—at the same time to any computer with Thunderbolt 3 ports. The Echo Express III-D (Thunderbolt 3 Edition) features a 40Gbps Thunderbolt 3 interface, which offers double the PCIe bandwidth and connectivity of Thunderbolt 2, and yields up to 2750 MB/s of bandwidth, enabling it to support 4K video capture and processing cards at high frame rates, and 16Gb FC cards and dual-port 10GbE cards at full performance(1)(2). With the ability to handle multiple demanding, high performance PCIe cards, support for connecting two 4K displays @ 60Hz or one 5K display @ 60Hz(3), and support for a vast array of Thunderbolt(4) and USB(5) devices, Thunderbolt 3 is a leap forward in every way. 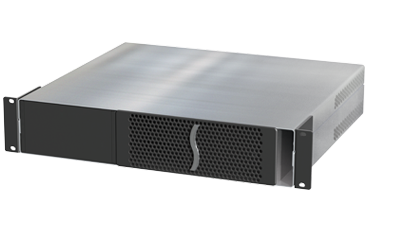 Sonnet’s Echo Express III-D supports three full-size PCIe cards, up to 12.28 inches (full-length) long. The III-D integrates a universal 300W power supply and includes a 75W PCIe power connector for cards that require supplementary power, such as the RED® ROCKET-X. Even with all that power, the III-D is enviro-friendly; it automatically powers on or off whenever the connected computer powers on (or wakes), or powers off or sleeps, respectively. The Echo Express III-D (Thunderbolt 3 Edition) includes two Thunderbolt 3 ports; the first is used for connection to your computer, while the second supports daisy chaining of up to five additional Thunderbolt peripheral devices to a single port on your computer(4). The III-D includes 10Gbps USB 3.1 Gen 2 support, meaning you can connect a USB device to the second port using the proper cable or adapter. The III-D also provides full support for connecting two 4K displays @ 60Hz or one 5K display @ 60Hz(3). For connected peripherals requiring extra power, 15 watts is provided to connected bus-powered devices. The Echo Express III-D is wrapped in a rugged, yet lightweight aluminum outer shell, resulting in a system light enough to carry without weighing you down, yet sturdy enough to securely protect the installed PCIe cards. Its two large, slow-spinning fans, enhanced with computer-modeled airflow management, ensure that even hot-running cards remain reliably cool without the need to install an extra PCIe blower card that would prevent the use of one of the three slots. Because the fans automatically speed up and slow down as needed, you don’t have to guess which speed setting to select, and there’s no need for tools to change settings. There is no power switch on the chassis, nor is one needed, because the III-D automatically powers on and off with your computer. In operation, the Echo Express III-D is remarkably quiet—it may be comfortably used in noise-sensitive environments, and it is one of the quietest Echo systems. The natural convection of warm air through the PCIe cards is assisted by ultra-quiet, temperature-controlled, variable-speed fans, and vented out the top of the chassis with reduced air velocity and turbulence, resulting in little fan noise. 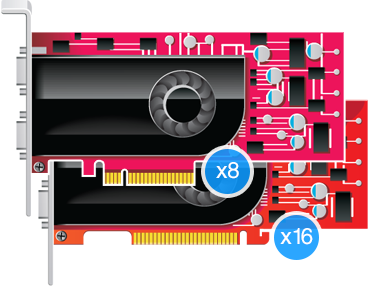 The Echo Express III-D supports three single-width, full-length PCIe cards, or one double-width, full-length card plus one single-width card, enabling it to support every Thunderbolt 3 compatible, non-GPU PCIe 1.1, PCIe 2.0, and PCIe 3.0 card available. Do you have a card in mind but aren’t sure it’s compatible? We’ve worked closely with PCIe card manufacturers to provide a list of compatible cards on our PCIe Card Thunderbolt Compatibility Chart. The chart provides a list of cards that have been tested to be recognized over a Thunderbolt connection and compatible with Thunderbolt technology requirements. 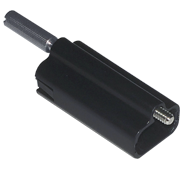 Sonnet designed the Echo Express III-D to accommodate the RED ROCKET or RED ROCKET-X and its BNC connector bracket (for HD-SDI output) card/bracket pair in a single slot. 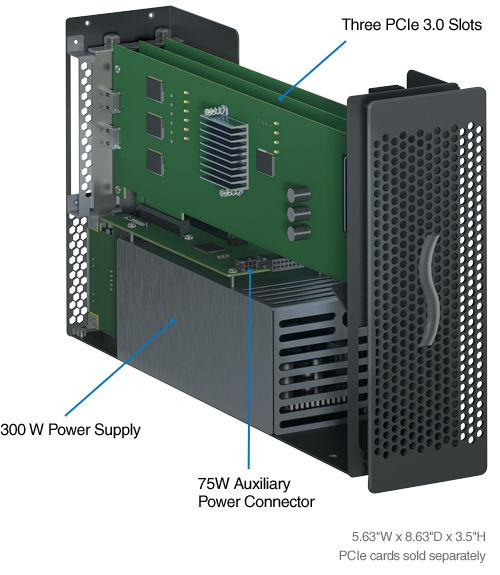 This Echo chassis includes two BNC connector mounting holes, enabling the installation of the card in one slot and its BNC connectors in the chassis’ mounting holes, leaving the two remaining slots open. Echo Express III-D’s back panel has two BNC connector mounting holes, enabling the use of a RED ROCKET card without the need to install the BNC connector bracket that would normally occupy a valuable PCIe slot. To connect the Echo Express III-D (Thunderbolt 3 Edition) to your computer, Sonnet includes a 1-meter Thunderbolt 3 (40Gbps) cable, and a Sonnet ThunderLok 3L Thunderbolt connector retainer clip(7) to secure the cable to the Echo chassis. Accidental cable disconnection can lead to data loss. Sonnet’s ThunderLok 3L is easy to install and use—just slide it over one end of the cable, and then plug in the connector and secure it to the chassis by turning a thumbscrew. 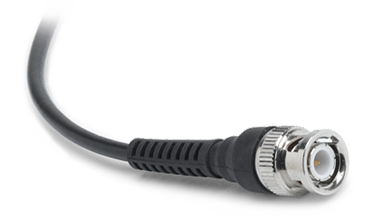 Because of its unique design, the ThunderLok remains on the cable so it won’t get lost when not in use. Additional ThunderLok 3L retainer clips and Thunderbolt cables are available and can be found under the Accessories tab. The Echo Express III (Thunderbolt 3 Edition) is available in two versions, the III-D (desktop) and III-R (rackmount), to suit your workflow needs. The III-R mounts in a rack space 2U tall, and is only 16 inches deep, making it perfect for use in a wide range of popular mobile racks, carts, and rack cases, and in server rooms as well. The III-R even saves space for other equipment—with an optional Mobile Rack Device Mounting Kit, you can install one or two mobile rack devices in the III-R’s rack enclosure. While the Echo Express III-D (Thunderbolt 3 Edition) features a 40 Gbps Thunderbolt 3 interface, some computers equipped with Thunderbolt 3 use an x2 PCIe lane implementation of Thunderbolt 3 technology that limits PCIe performance to 20Gbps. Find more computer information here. 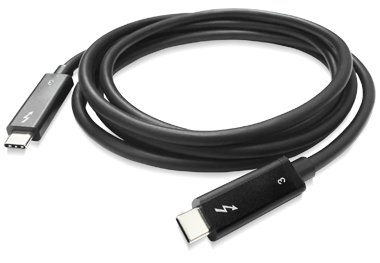 Full performance requires the use of the included Thunderbolt 3 (40Gbps) cable, or comparable Thunderbolt 3 (40Gbps) cables; look for the Thunderbolt icon AND the number 3 on the connector housings to identify these cables. Power supply will operate as low as 90VAC, with linear power deration from 300W @ 115VAC to 240W @ 90VAC.